Sisterhood Torah Fund Book Club – Join Rachel Kamin, CLC Director, after Shabbat Kiddush on Saturdays (at approximately 12:30 pm). You do not need to attend all of the sessions to participate – come to one or come to them all! To participate in the Sisterhood Torah Fund Book Club, please make a minimum donation of $54 to the Torah Fund Campaign. Contact Mary Ellen Bowers, Sisterhood Torah Fund Vice President, at eyerishmar@comcast.net to make your donation. All fiction, non-fiction, poetry, memoir, and essay writers (published or not yet published) are welcome for discussions, exercises, camaraderie, and critique every other Wednesday, 9:30-11:00am. Join the Hazak Senior Life Committee and the Gray Cultural & Learning Center for an “Afternoon of Trivia” with Brain Bash Trivia, a live interactive trivia game where the questions are fun for all ages about stuff you know and stuff you didn’t realize you knew and maybe a few things you’ll learn. The host Jeremy Cahnmann has been quizzing people all over the country for over a decade. Come out and exercise your mind! Open to the community, free of charge! No experience required! Refreshments will be served. Please RSVP to Marcie Eskin or call 847/926-7903. Meet in the Gamze Gallery of the Rissman Kol Ami Collection for complimentary wine and refreshments in honor of the new exhibit Visual Midrash: Judaica by Amy Reichert. Cindy Stern, Executive Director of the Chicago Festival of Israeli Cinema, will share trailers and clips of upcoming films coming to the festival this fall and we’ll screen the first episode of the new addictive Israeli TV series, Your Honor. Rachel Kamin will discuss new Israeli books recently translated into English and the class will meet with two local translators, Todd Hasak-Lowy and Daniel Libenson. 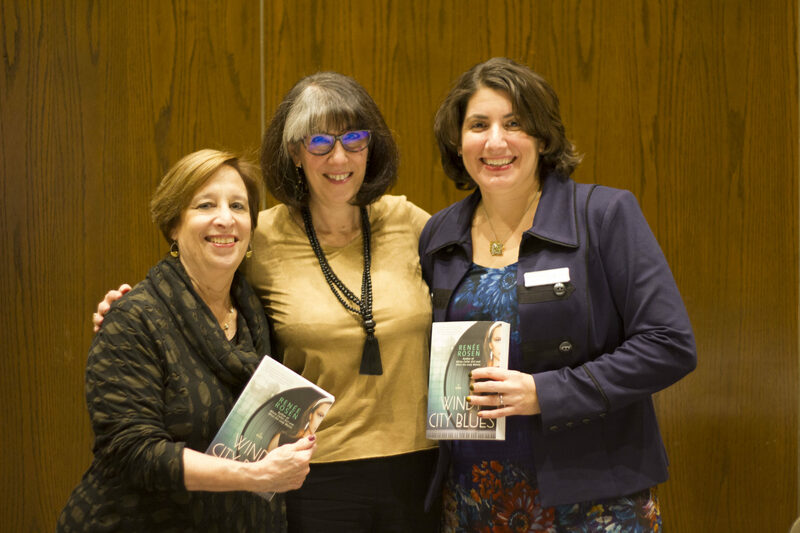 My Jewish Year by Abigail Pogrebin, facilitated by Rachel Kamin. Although she grew up following some holiday rituals, Pogrebin realized how little she knew about their foundational purpose and contemporary relevance. She wanted to understand what had kept these holidays alive and vibrant, some for thousands of years, and chronicles her journey into the spiritual heart of Judaism in this captivating, educational, and inspiring memoir. Rabbi Kurtz will join us to provide his insight and expertise. The Rissman Kol Ami Collection will host a traveling exhibit commemorating the 100th anniversary of the death of Dr. Ludwik Lejzer Zamenhof, the creator of the international language Esperanto, in partnership with the Esperanto Society of Chicago and the Polish Ministry of Culture. NSS Beth El will sponsor the screening of the new Israeli TV series, Your Honor, at the ArcLight Cinemas in The Glen. Discuss the Spertus “One Book, One Community” selection (to be announced soon!) after Shabbat Kiddush, facilitated by Rachel Kamin. Join the Rissman Kol Ami Collection and the participants from this year’s Artists Beit Midrash for a reception in celebration of the exhibit, Of the Body, In the Body: Torah and Art. Due to storage issues, we cannot accept donations before January 1st. Please plan to drop off your donations between January 1-31, 2019. Donations received before January 1 may be discarded.